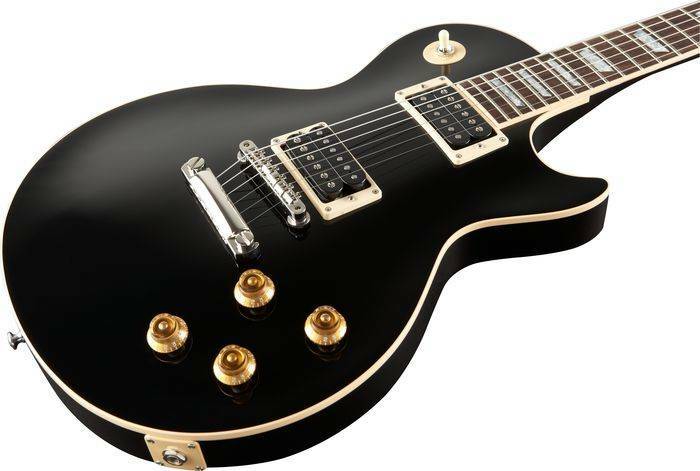 The Gibson Les Paul Axcess Standard has the classic look and feature lineup you'd expect, plus! Upgrades include a contoured back for comfort and better higher-fret access (there's that word again) plus the hot 498T and the 496R humbuckers. In addition, you can now "split" each guitar pickup separately by pulling up either the rhythm or treble tone knob to let you to blend single coil tones with full humbucker power.